There’s hardly any comic lover who doesn’t admire Batman. He has always been a fan-favourite since its inception in the comics universe in 1939 (Detective Comics). The Dark Knight has an overwhelming fan-base across the globe and has been featured on innumerable comics over the years, including Batman Secret Files #1, the latest one in the Secret Files and Origins. Secret Files and Origins is a series of one-shot comic books and mini-series produced by DC Comics. Published in October 2018, Batman Secret Files #1 delves into Batman’s case histories and discover brand-new stories by some of comics’ well-known talents. Originally from Mumbai and currently based in London, Ram Venkatesan has become quite a name in the Comics world in and outside India. He debuted with Black Mumba in 2016 and leaped with success to creator-owned books like Brigands, Paradiso and These Savage Shores. He also worked on Titan’s Quake before landing an impressive DC Comics debut: a short story in Batman Secret Files #1. 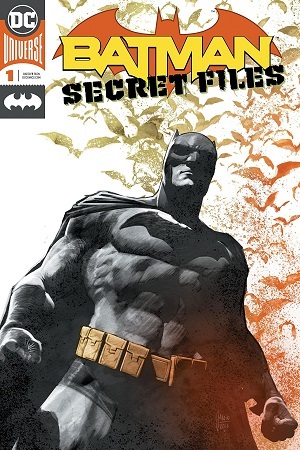 Featuring an established tale from ongoing Batman creative team including Tom King, Mikel Janin as well as contributions from Cheryl Lynn Eaton, Elena Casagrande, Tom Taylor, Brad Walker, Jordie Bellaire and Jill Thompson, Batman Secret Files is a one-shot examination of Bat-cases. Venkatesan’s eight-page short-The Nature of Fear, along with artist Jorge Fornes, portrays the Gotham superhero through the eyes of a GCPD officer caught in the middle of a brawl between Batman and a certain rogue. 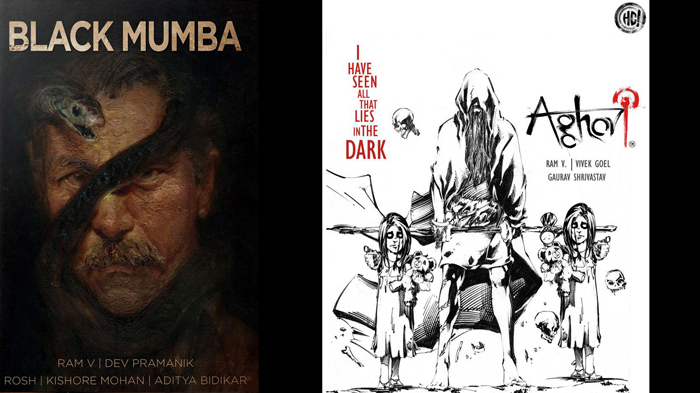 From Mumbai to London, Aghori to Batman Secret Files, how has the journey been so far? Good, exciting, humbling, heartwarming. I could go on. When I started writing Aghori, I had no aims or goals. I was just a writer writing a story, enjoying the thrill of collaborating with people to tell it in this incredible medium. Largely, even with writing a Batman short story, I have managed to keep that innocence and thrill of creating art, intact. It’s a thing worth valuing. Comics is an incredibly welcoming place. I’ve been lucky to meet great people and make good friendships along the way. And I’m humbled by the fact that editors and publishers have gone out of their way to appreciate and encourage my work. How did you land up with this opportunity to write a Batman story for DC Comics and becoming the first ever Indian writer to do so? I met my editor on the Batman issue when he was a guest at the ‘Thoughtbubble’ festival in UK. I gave him a copy of Black Mumba at the convention. Over the next couple of years, we kept in touch and when he eventually read Black Mumba, he enjoyed it and asked if I’d like to work with him at DC. Eventually, that led to the opportunity to write a Batman story. 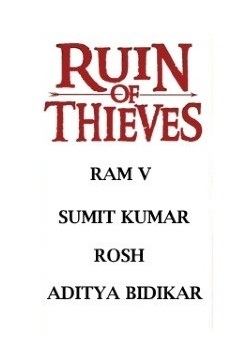 As for becoming the first Indian writer to do so? That part was decided in 1981 when I was born in Mumbai to parents with a rather large collection of books. Why did you decide to take up Comics as your full-time profession? Can you tell us a little about your influences while working on any comic book? I didn’t, to be accurate. Writing is my full-time profession. Comics is a medium of choice. I want to write and tell stories across mediums. That said, I absolutely love comics. It is the sort of medium that forces you to flex a lot of different storytelling muscles. It requires an understanding of design. It requires you to translate time into a visual framework. It lets you do things with visual abstraction that are rather difficult to do in any other medium. There is a lot to love about making comics. 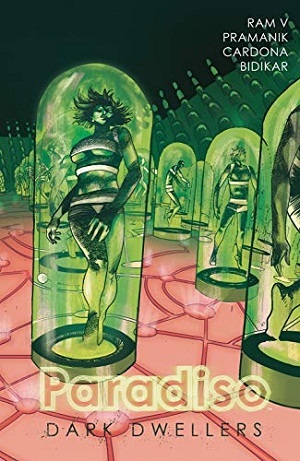 Not to mention the utter joy of collaborating with artists, letterers, editors, colourists, designers to produce a work of art that feels cohesive and singular. It’s like being in a band. My influences come from a lot of different places. I read widely, watch a lot of films, listen to a lot of music. So, it’d be difficult to specifically list general influences for my work. I often pick up ideas, aesthetics and narrative devices from entirely different places in different mediums. What according to you, was your breakthrough moment? There have been several, really. Aghori was my first time writing a comic. Black Mumba was my first real foray into writing comics for an international readership. Paradiso was the first time I had a book published by an industry leading publisher. Batman Secret Files is the first time I’ve written a story for an existing character with a massive canonical history and following. These are all breakthroughs. A single breakthrough moment is a fabrication. A fiction. Most creative successes have been years in the making. I find it best to try and make each new project some manner of breakthrough- at least creatively. Seems like you’re quite inclined to the genre of science-fiction. What’s the reason behind that? Well, not really. Aghori was darkly supernatural urban fantasy. Black Mumba was weird, crime. Brigands: Ruin of Thieves was sword and sorcery. Paradiso was sci-fi. Grafity’s Wall is a coming of age story that’s not speculative-fiction in any way. These Savage Shores is alt-history, vampires? Batman Secret Files falls into the superhero genre and I’m writing a couple of horror/fantasy things in 2019. If anything, I’d probably say I am not partial to any genre. I really don’t like the idea of putting stories into these neat definitions of genre. I do enjoy reading sci-fi. Books like Solaris, Dune, Dhalgren were probably massively influential for me as a writer. So, there’s bound to be things from there, bleeding into my work. How was it different working on Batman Secret Files than your other books such as Black Mumba, Brigands: Ruin of Thieves and The Savage Shores? What are the challenges that you’ve faced while working on this new Batman book? Did you feel any pressure of the immense popularity that the character enjoys or maintaining its aura? I’ll answer both these questions here. Obviously, it was functionally different writing a Batman story as compared to creating entire narratives for my own books. You’re given a character who comes with a history and expectations. It brings its own freedoms and constraints. That was exciting and creatively interesting to play with. As for the challenges pertaining to writing such a well-loved character with an extensively written canon- sure, it was a little intimidating at first. I paused for breath the first time I wrote the name Batman into the script. But beyond that, I am a writer confident in my craft and my ability to tell a story. You take that moment to be a little awed by what you’re doing and then you do your work as a professional. I felt no pressure working on this story. Only excitement! How was the experience of working with DC- one of the leading names in the comics world? Everyone at DC has been fantastic. I love working with my editors. They’ve all been kind, encouraging, insightful and exacting in all the best ways. It’s also great to work with a publisher and people who want you to bring yourself and your sensibilities to the work they want you to do. That encouragement to express yourself in your own voice is important, and I appreciate it very much. I’ve also had the pleasure of meeting and working with the guys in PR and sales who have all been patient, kind and helpful. Overall, it’s been a lovely experience. Beyond that, of course, DC’s position as a leading publisher in the industry brings a recognition to your work from readers and industry professionals, alike. I don’t take that for granted. Hopefully, I continue doing the kind of work that is deserving of appreciation and recognition. Making more comics. Working with fantastic people. Expanding the scope and width of my writing and my stories. Taking up a lot more shelf space, both at home and in stores! With such great titles in his bag, Venkatesan is soaring high with flying colours and we hope to see even better creations from him in the near future.